It was biscuit week on The Great British Bake Off this week and I was thrilled when I found my gingerbread Christmas tree which I made as part of last years Bake Along was one of my most visited blog posts this week. I followed Mary Berry's Florentine recipe for this week as I decided to give the technical challenge a whirl. I switched up the walnuts for brazil nuts as that was what we had in the cupboard. 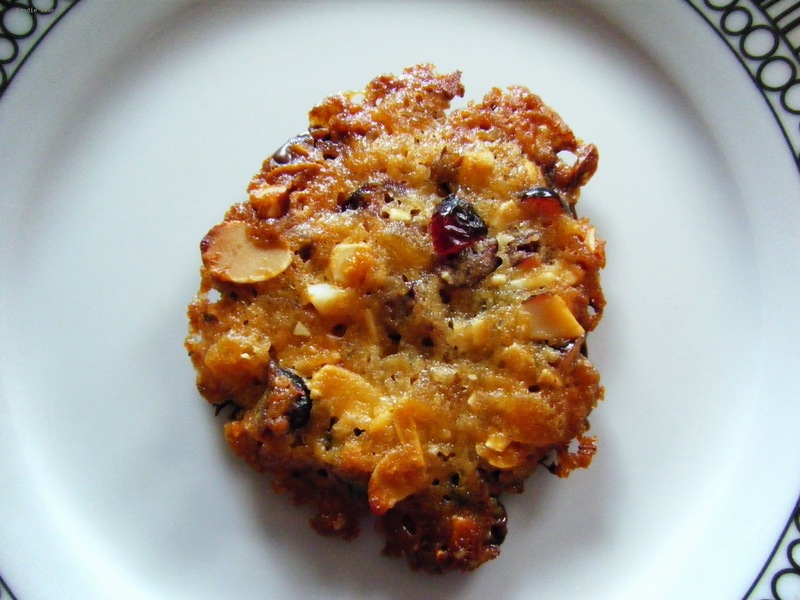 I've never made Florentines before but they were fairly simple, a fruit and nut twist on a brandy snap but without the alcohol. I really thought these chewy biscuits could have done with a shot of something. Rum would have paired well with the candied peel. I always see Florentines recommended as a homemade gift and I can see why, they are fairly costly in the shops and the lacy effect of the syrup as it spreads is very pretty. You could get really creative with your choice of fruit and nuts too, customising your Florentines to suit the recipients tastes. I'll be adding Mary's Florentine recipe to my Christmas hampers. 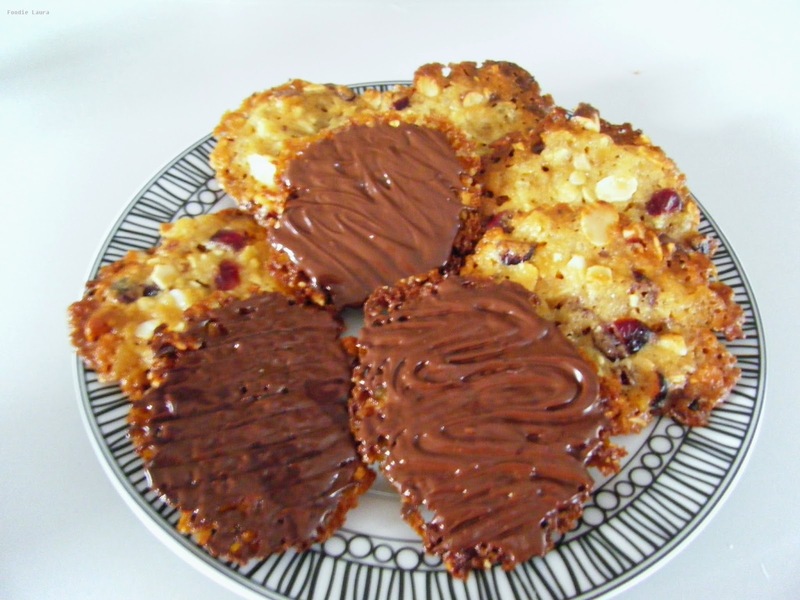 My Florentines weren't very uniform, I roughly dolloped a teaspoon of mixture per biscuit but that was my only issue, they tasted great and were ready in 30 minutes. The contestants on the show didn't have any major issues either, an easy recipe all round. Trevor and I completed the Great British Bake Along Challenge last year too. Which week are you most looking forward to?